ArtWorks in Dansville will host its seventh annual Chalk Walk and ArtsFest this weekend. Chalk artists Rebecca Crocker and Derek Crocker will return as the event's featured artists, and they along with a group of community chalk artists will create signature pieces near ArtWorks. 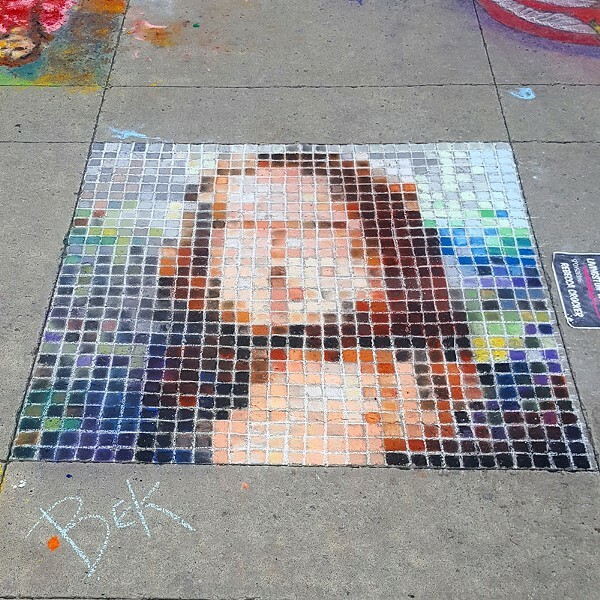 Throughout the day, festival goers will be able to watch the artists create Chalk Walk 101, a stretch of 101 feet of continuous sidewalk chalk art in the Maxwell Block. ArtWorks will also offer free, mini, art workshops and demonstrations from 11 a.m. to 2 p.m., including wool spinning and cord making by Kim Swink, clay ornaments by Colleen Johnson, and beading by Emily Bowers. Steel Alchemy Community Steel Band will perform 11 a.m. to 2 p.m.
Chalk Walk & ArtsFest takes place Saturday, August 4, from 10 a.m. to 2 p.m. The will be rain or shine on Main Street in Dansville, with "event headquarters" at Dansville ArtWorks, 153 Main Street. The festival is free and open to the public. dansvilleartworks.com.